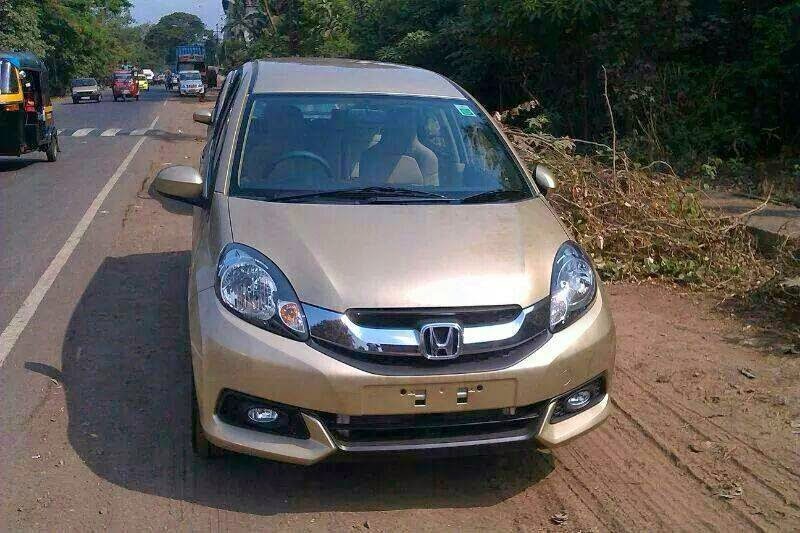 Honda’s third model on Brio’s platform, Mobilio MPV has been spied on Indian roads. 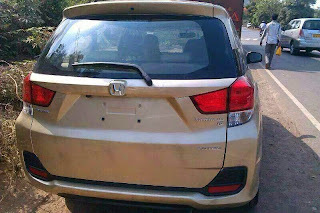 Honda had earlier announced the Mobilio launch in India in July 2014 and we fell the launch process is going as per the plan. 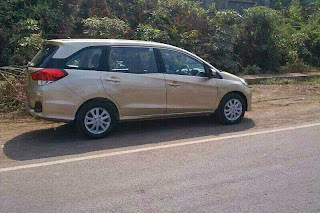 Honda Mobilio will compete with Maruti Ertiga and Toyota Innova in Indian Market. The former is likely to be direct competitor from Honda as both Ertiga and Mobilio will be offered in petrol variant as well. The second point is, both the vehicles have been aimed at personal car buyers unlike the Innova which has got good share of fleet buyers. 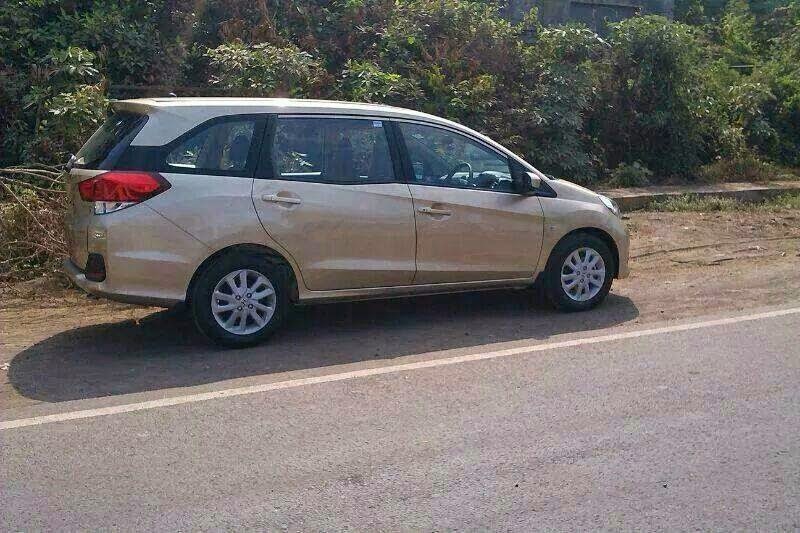 Honda has stretched the wheelbase of Brio to 2650mm which gives ample space inside. The design has been futuristic as always from Honda and from any angle its difficult to call it a MPV. The sporty looks will appeal to personal car buyers which Honda is aiming for. Honda Mobilio will be offered in both petrol and diesel engines. Both the engines will be borrowed from the City sedan. An important point to note is, the 1.5L i-DTec diesel engine will be borrowed from the City and not the Amaze as Mobilio is a heavy vehicle and the improved i-DTec engine from City will deliver better performance. As Honda is gearing up to launch Mobilio in India in July, expect Maruti to slash the prices of Eritiga LUV!